Pigeon Forge, TN (June 19, 2017) – Excitement continues to build for the 60th Anniversary of NQC – Gospel music’s largest annual event. 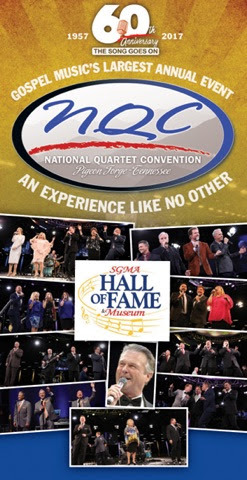 The NQC and SGMA have announced a new partnership to present the inaugural SGMA Hall of Fame Induction Ceremony and Benefit Concert to be held on Tuesday, September 26, 2017 during the afternoon at the LeConte Convention Center in Pigeon Forge, TN. The program will honor the 2017 SGMA Hall of Fame class of inductees – Troy Burns, LaBreeska, Hemphill, Randy Shelnut, and Tony Greene – and will also feature special performances by the Jim Brady Trio, the Hoppers, the Kingdom Heirs, Karen Peck & New River, the Second Half Quartet, the Guardians, Triumphant, the Whisnants, and Tribute. Serving as master of ceremonies will be SGMA Hall of Fame member, Dr. Jerry Goff. 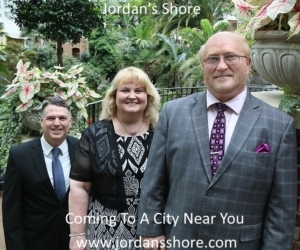 Admission for this event is $20.00, the same price as all of the other NQC Showcase Spectaculars, and can be purchased at www.nqconline.com or on site at NQC. The event will be from 1:00 p.m. – 3:00 p.m. on Tuesday, September 26, 2017, at the LeConte Convention Center in Pigeon Forge. Information about all the daytime and evening activities at the NQC can also be found at www.nqconline.com. The addition of this program is just one more reason why the 60th Anniversary NQC will be an event you just can’t miss!